Did you know that a misalignment of your vertibrae C1 (Atlas) can affect blood supply to the head, pituitary gland, scalp, bones of the face, brain, inner and middle ear, and sympathetic nervous system? Headaches, nervousness, insomnia, head colds, high blood pressure, migraine headaches, nervous breakdowns, amnesia, chronic fatigue, and dizziness are all symptoms of a simple misalignment. Many forms of headaches are linked to cervical spine disorders. When a vertebra becomes misaligned, sensitive nerves become irritated and produce symptoms that include head pain. A chiropractor takes a comprehensive approach to your treatment examining any potential trauma to the spine. Chiropractic adjustments are one solution in the treatment of headaches. If you suffer from headaches, please contact our office to schedule an appointment with our chiropractor today. We will gladly answer any of your questions and provide you with the best treatment options available to you. 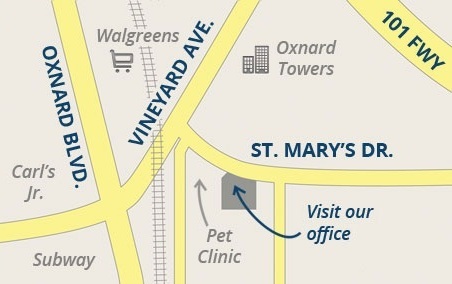 If you live in or around Oxnard and suffer from headaches, call us today!